Cecil Deal, Jr., 87, of Newbern, Tennessee died on Monday, February 11, 2019, at West Tennessee Veterans Home in Humboldt, Tennessee. Born Wednesday, January 13, 1932, in Gratio, Tennessee. He was the son of the late Cecil Deal, Sr. and the late Hallie Pope Deal. 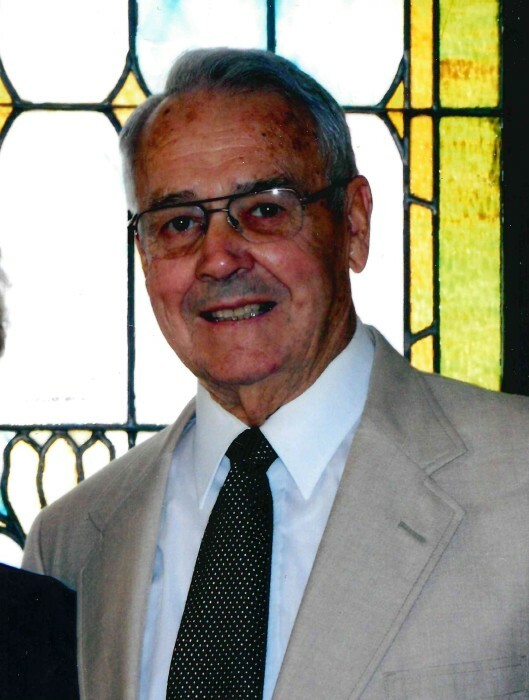 He was a retired Tow Boat Pilot for Hickman Harbor Service, member of Southside Baptist Church in Dyersburg, Tennessee and proudly served his country in the United States Air Force during the Korean War. Funeral services for Mr. Deal will be at 12:30 PM on Thursday, February 14, 2019, in the Chapel of Johnson-Williams Funeral Home. Officiating this service will be Rev. Loren Stephens . Interment will follow in Fairview Cemetery in Dyersburg, Tennessee. Visitation will be Wednesday, February 13, 2019, from 5:00 PM until 7:00 PM at Johnson-Williams Funeral Home. He is survived by his wife, Marie Elizabeth Ehrlich Deal of Newbern, Tennessee; one son, Dewayne Deal (Lisa) of Newbern, Tennessee; two daughters, Karen Wilson (Danny) of Newbern, Tennessee and Gail Bell (Fred) of Dyersburg, Tennessee; one brother, Rev. Mike Deal of Dyersburg, Tennessee; three grandchildren, Jonathan Bell, Lauren Vincent and Grace Ann Deal and five great-grandchildren. In addition to his parents he was preceded in death by two sisters, Geneva Sadler Smith and Joyce McElyea and two brothers, Billy Clay Deal and Damon Deal. Pallbearers will be Ronnie Turner, Joel Deal, Mason Wilson, Sam McGuire, Kurt Walker and Bubba Carson. Online condolences may be made to the family at johnsonwilliamsfuneralhome.com. Johnson-Williams Funeral Home is honored to serve the family of Cecil Deal, Jr.